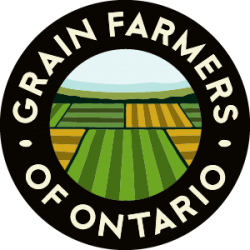 GUELPH, ON (June 7, 2018) – Grain Farmers of Ontario, the province’s largest commodity organization, representing Ontario’s 28,000 barley, corn, oat, soybean and wheat farmers, offers congratulations to Ontario’s new Premier Doug Ford and the members of the Progressive Conservative Party of Ontario as the new provincial government of Ontario. 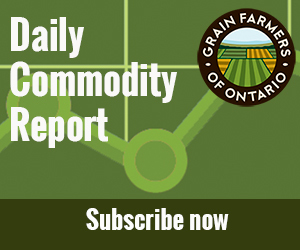 Grain Farmers of Ontario looks forward to seeing Premier Ford swiftly implement his commitments to a business environment not burdened by over regulation and red tape. Farmers are the main stewards of Ontario’s land as they work to provide food for Ontario and beyond, and the new PC government’s faith in farmers’ understanding of best practices and the best way to grow food is appreciated. Grain Farmers of Ontario supports the PC commitment to helping farmers manage risks to their business and to protecting food production for all Ontarians by investing more money into programs that are drastically underfunded at present. “We are very pleased to see Premier Ford’s government supports business risk management programming and we hope to see the $50 million increase to the cap on the RMP in place for planting season,” said Haerle. The environment for agriculture in Ontario today is extremely challenging with increased costs from regulations, fuel cost increases, and looming trade issues. Grain farmers will look to the new Progressive Conservative government to champion their needs, and the needs of all farmers, at trade negotiations and in discussions with the federal government. Ontario grain farmers embrace sustainability efforts, new practices, and the latest innovation to produce safe, healthy, delicious food.